BEFORE YOU CONSIDER TOSSING OUT YOUR FURNITURE AND GETTING SOMETHING NEW, LET US BRING YOUR FURNITURE BACK TO LIFE WITH A PROFESSIONAL UPHOLSTERY STEAM CLEAN! Is your beloved sofa looking a little worse for wear? Are you considering replacing your furniture because that “new” look and feel has dissepered leaving you with a dull, dirty couch? Before spending thousands of dollars, let Will give your upholstery the boost it needs with a deep steam cleaning treatment!!! You will be amazed at what a thorough steam clean can do and you’ll be wondering why you never considered it sooner! Quite often people replace a piece of seemingly worn furniture without realising that professional upholstery cleaning could bring it back to a near new condition. 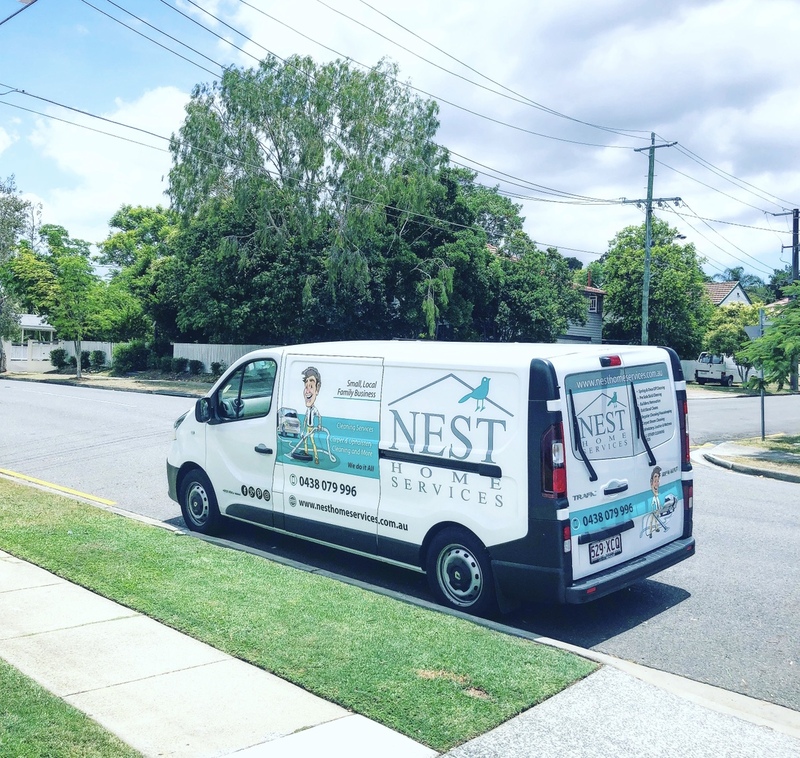 At NEST Home Services, Will offers a complete upholstery steam cleaning service. Will comes to you, at your convenience, to provide a comprehensive, deep, thorough, steam cleaning service which will remove even the most stubborn stains, pet or human odours and any hidden nasties that have made a home or embedded themselves into your furniture. There is a process when it comes to taking care of your furniture and bringing it back to it’s former glory but you can rest assure that you couldn’t have anyone better to do the job! The before and after picture above speaks for themselves! Your Upholstery will be vacuumed thoroughly first which will rid it of any surface dust and dirt – this includes your entire pieced of furniture, front, back, all cushions etc. Will will then focus on spot marking any stains or heavily used areas and work on renewing those parts of your furniture in particular, bringing out any excess dirt or staining. A pre spray will then we used on the entire piece and a thorough steam clean with extremely hot water will brighten and re new your upholstery. William will always ensure that you are never left with a wet piece of furniture and he will remove any excess water so that you don’t end up with a smelly sofa, this should only take a couple of hours to completely dry. He will finish off with a deodoriser for that clean, fresh new feel! 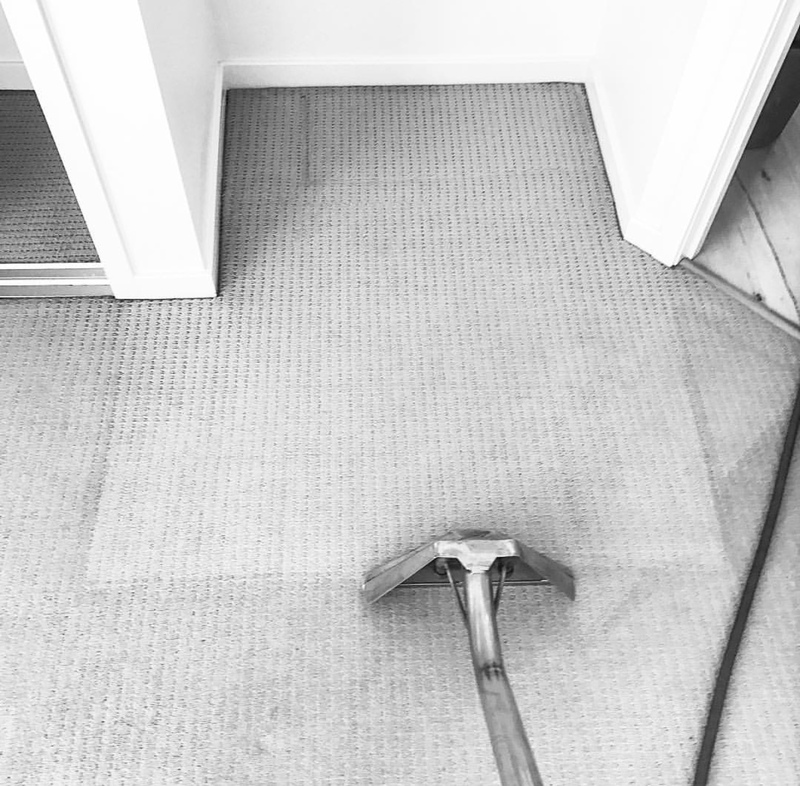 A deep steam cleaning treatment is the most effective way to bring all that hidden dirt to the surface whilst also ridding your upholstery of any other hidden nasty’s (bugs and mites) and giving you back that piece of furniture that you once loved. By the time he’s finished with your furniture you won’t even recognise it! To be able to provide a quote we first will need to know if the home is occupied or empty? We offer two options for homes that are currently furnished. We need to know how many rooms in total you have including any hallways, walk in robes or staircases? You can either call our lovely office team or fill out a QUICK ENQUIRY FORM, or DETAILED ONLINE ESTIMATE FORM and you will be sent through a quote and be followed up with a call to answer any questions. If needed Will is always happy to drop by and meet with you prior and quote the job on site. Once you have received and accepted your quote we offer you a few options of dates and times to make your booking. Lastly a confirmation email will be sent to you with all the necessary details finalising your booking. DONE! Donna is fantastic and a very good cleaner. She is a lovely person and we are very happy with her.